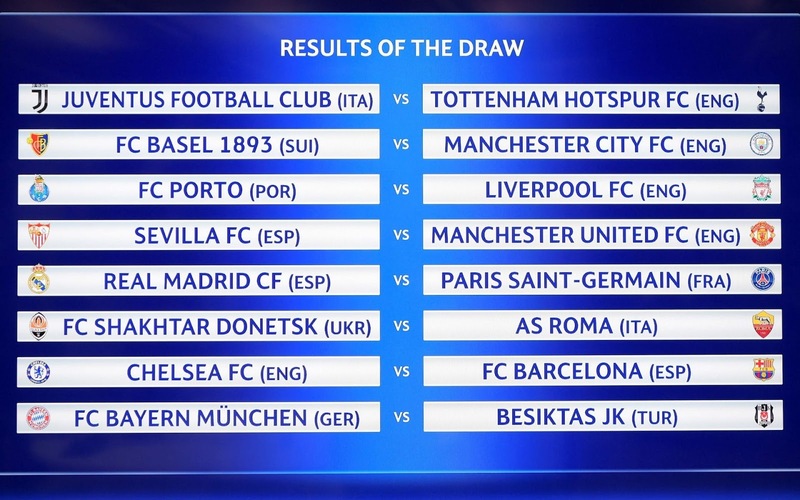 The UEFA Champions League round of 16 draw took place today and the draws is scary. Maybe this is why this league is called "Champions League". Though Manchester United, Manchester City and Liverpool were all delivered with highly favourable draws but Chelsea and Tottenham Hotspur will have less cause to celebrate. Chelsea appear to have been delivered the trickiest task as they were drawn against Spanish Giants Barcelona and will play at the Nou Camp in the second leg for the first time since they triumphed in the semi-finals on their way to winning the Champions League in 2012. Barcelona will not relish facing Chelsea, either, although the English club will be kicking themselves. Had they won their group they would be facing Shakhtar Donestk, who have been drawn with Roma. That is the more reason why winning a group in Champions League preliminary stages is still the ultimate. For Spurs the reward for winning their group is a first meeting in European competition with last season’s finalists, Juventus, who are currently only third in Serie A but have a rich pedigree of success in this competition. Spurs, as a group winner, will play their second leg at home, at Wembley. According to New Telegraph UK, the draw was far more kind to United who were paired with Sevilla, who finished second in Liverpool’s group, and who they have never faced before. Liverpool were drawn against Porto, while City will be pleased that they will face Basel, with the Swiss runners-up to United in their group. 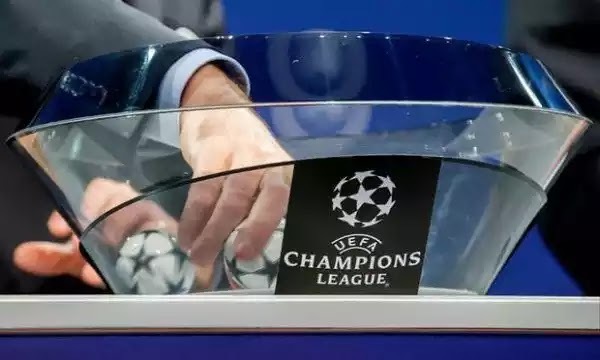 The showpiece draw of the round is undoubtedly the holders Real Madrid, who were runners-up to Spurs, against Paris Saint-Germain give the scale, ambition and squads the clubs have. Not least with Kylian Mbappe having chosen PSG ahead of Real last summer. There will be nervousness at PSG that their coach, Unai Emery, has never won at the Santiago Bernabeu. The match between PSG and Madrid is termed "The Money Match" considering how much both clubs have spent on players in recent times.